The Growling Grass Frog is our largest local frog. Growling Grass Frogs are found in a few locations in and around Melton. They can be heard calling from wetlands adjacent to Greigs Road at Strathtulloh. They can also be heard in man-made wetlands in Melton South and Caroline Springs. Its call is a low growl and is usually heard on hot evenings. 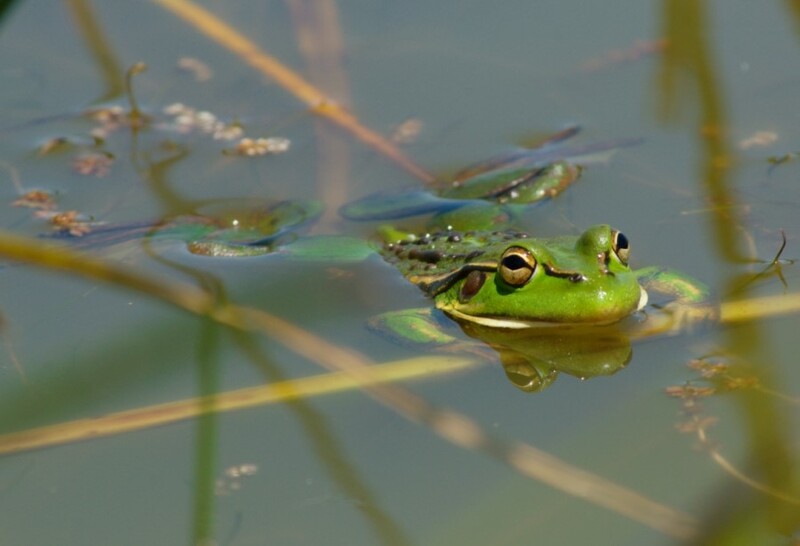 A major population of Growling Grass Frogs is found in the wetlands north of Rockbank and along Kororoit Creek. There will be a Growling Grass Frog reserve beside Kororoit Creek but unfortunately most of the other wetlands in the region will be lost under development. It is also endangered, mainly through habitat loss. Many wetlands have been lost to urban expansion over the last few years. Unfortunately many more wetlands will be lost to urban expansion over the next few years, including Growling Grass Frog habitat. The future of the Growling Grass Frog in Melbourne’s western region appears bleak!